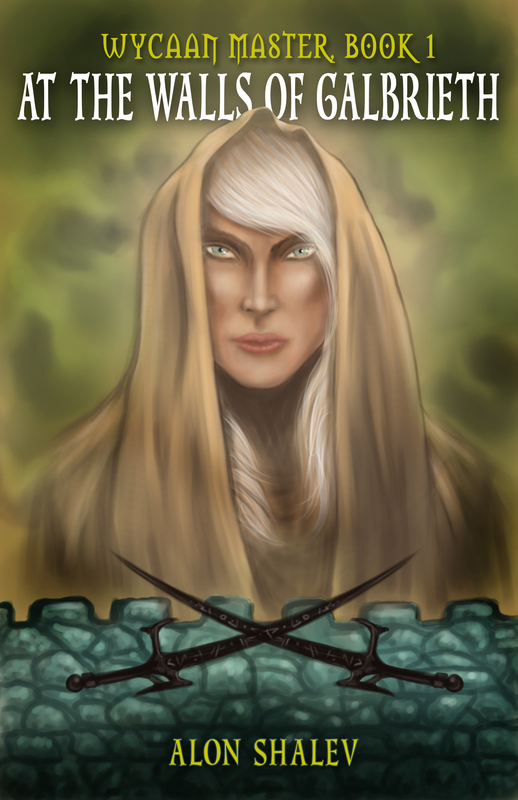 This week, Tourmaline Books announced the title to the sixth Wycaan Master book, perhaps the final one in the series: Calhei No More. 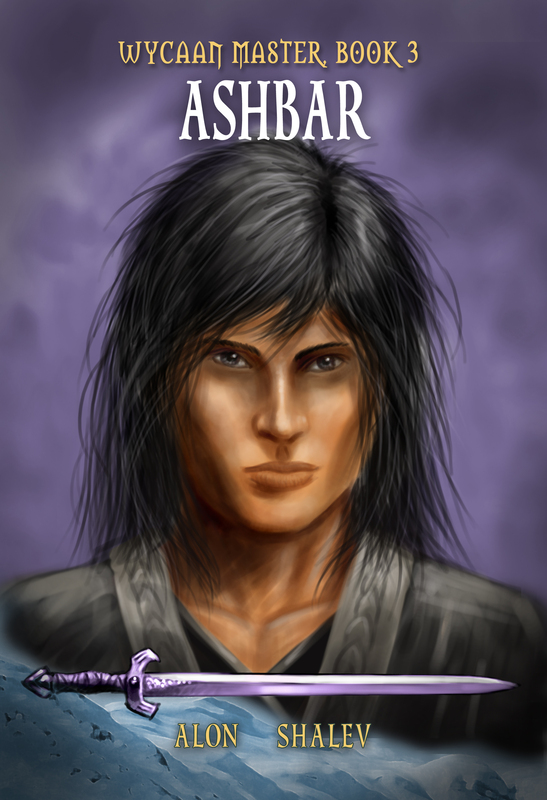 Anyone who has read the previous books in the series knows that calhei means children, specifically elven children (do you need to brush up on your elvish?). There was considerable back and forth regarding the title. A previous book had an elven word in the title and the publishers were not keen on this as it might be a barrier to people purchasing it. While Ashbar failed to become a New York Times bestseller, I don’t think the title was to blame. Still, this makes perfect marketing sense, but I always thought that by the time you bought Book 3 or Book 6, you would have read the preceding novels – or in the case of Book 6, read Sacrificial Flame (#4) and From Ashes They Rose (#5), which many adults started at – and know the basic elven words. Without giving too much away, the title reflects the rise to prominence of the next generation of characters, but there is much more behind what will be brandished across the cover of the book. When I wrote Book 1, my sons were 11 and 7. For those not acquainted with the story, I wrote At The Walls Of Galbrieth while on a family vacation in an ancient redwood forest in Northern California and read them a few chapters each night around the campfire or snuggled in our tent. For the next five years I had the next manuscript ready for them and they were the first to hear the story … and my first critics. My sons will be 17 and 13 years old respectively when Calhei No More comes out in the fall. They tower over me now and wrestle me with ease, but they still occasionally snuggle even if the three of us would never fit together in that old tent anymore. Finishing the Wycaan Master series is a watershed for me and I will write about this in the future, but for now it is inextricably linked to my sons growing up and a very personal aspect of our relationship. My work takes me away from them and I hope they have not grown to resent it. I am passionately driven by the need to fight for a just world and that every person on this planet deserves the same inalienable human rights. When home, I assail them with stories and videos and hope they will not grow to resent the importance of the work I do. I address this a number of times in Calhei No More… you’ll see. But they will always have the memories of the Wycaan Master series long after they pass into adulthood. Tourmaline Books have also agreed to set the publication date for October 15, my father’s 92nd birthday. Calhei No More is about our relationship with our children and with our parents. 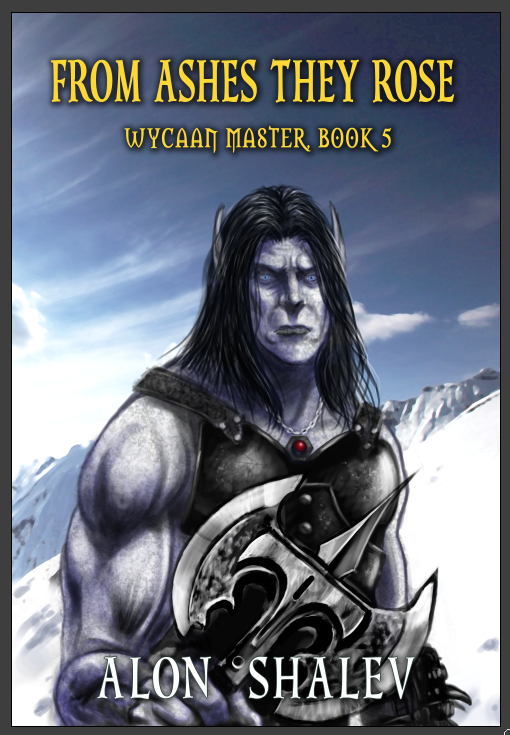 The cycle continues, but the Wycaan Master series will reach its climatic end on October 15. Happy Birthday to my human Ahdahr. Ninety-two years old. I am convinced there is some elven blood in him … my kids’ll tell you that it would explain a lot! 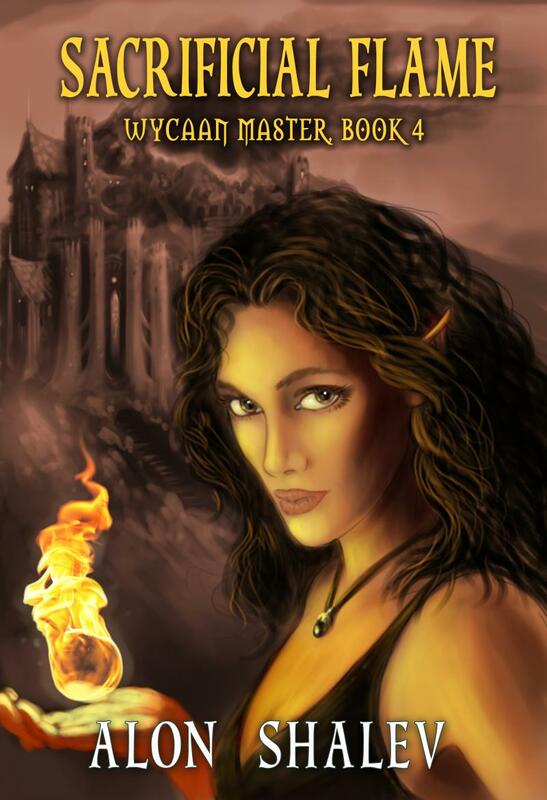 This week, Tourmaline Books released the cover for Calhei No More, the sixth and probably final book of the award-winning Wycaan Master series. In addition, they made a surprise announcement. Scroll down to find out what. 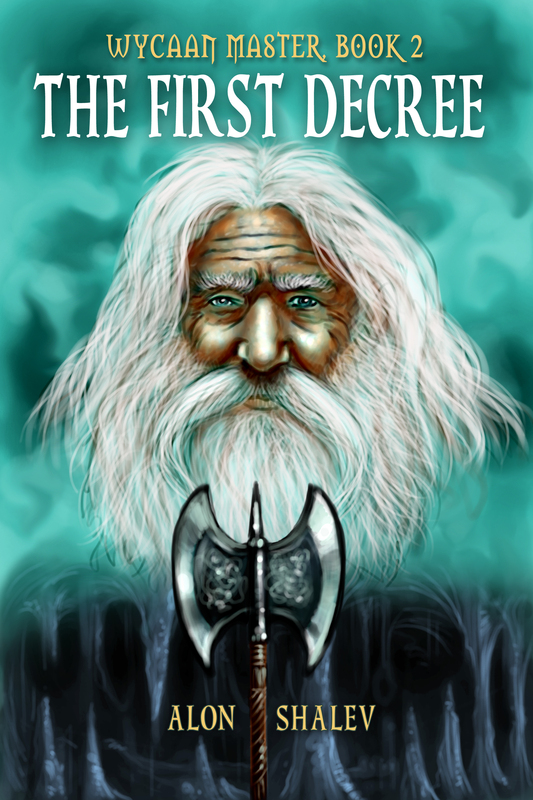 The cover shows Abel, the Mushroom Man, who first appeared in From Ashes They Rose, and became a popular figure. Guess he earned his place on the cover both for his role in the novel and launching a new hobby for the author – almost every dish I’ve cooked since has had common or exotic mushrooms in it. A big Thank You to our long-suffering cover artist, William J. Kenney. Art is an incredible talent that the unskilled like me view as magic. But William also possesses the talent to take my jumble of verbal images and produce a work of art. As a way to encourage readers to finish the previous five novels (and the surprising number who began reading from the fourth – Sacrificial Flame), each novel is being offered in ebook form for just 99 cents each. For my past views on such moves, feel free to check here. I can’t say how long this will continue. The launch date for Calhei No More is October 15. If you do take advantage of this offer, please take a moment at the end of each book and leave a review on Amazon. It has a huge influence on rankings. Just to showcase William’s talent, here are the other book covers. If you plan to take advantage of the 99 cent sale, please click on their covers. Thank you for all your support along the way. It is exciting to soon share the climax of the Wycaan Masters. As always, I love to hear from you. Please leave any comments, I do try and respond in a timely fashion. Alon Shalev is the author of the 2013 Eric Hoffer YA Book Award winner, At The Walls of Galbrieth, and four more novels in the Wycaan Master Series – all released by Tourmaline Books. From Ashes They Rose, is the latest in the series.